So who will be having fun in FLA???? Linda, are you going? I was so hoping for Chicago this year and crossing my fingers you might be there. ME! I can't wait! This is going to be an amazing roadtrip! Every road trip is wonderful, but being able to say that Cathe took us to Disney... UNBELIEVABLE!! lol! I'm going!!! Yipee!!!! I've been ready since the Houston roadtrip! We are going to Disney and can not wait. We live in Florida, just south of St. Petersburg. This will be my first road trip. You are going to have so much fun!! I have been on 4 glassboro trips and each year they get better and better! I'm in!!!! My first road trip!!! And our first trip to WDW!! My kids are excited about Disney & my DD is excited to meet Cathe. My DD, who is 10, said "I've known Cathe since I was little. Well, I mean I've known her from you working out with her." . I CAN'T waittttt!!!!! I am in too...not telling my kids until the day of...HA HA!!! Can't wait!! I'm in Orlando, so why am I hesitating so much and have still not signed up? Still nervous....any words or wisdom, or encouragement? I'm in! First roadtrip, very nervous/excited! 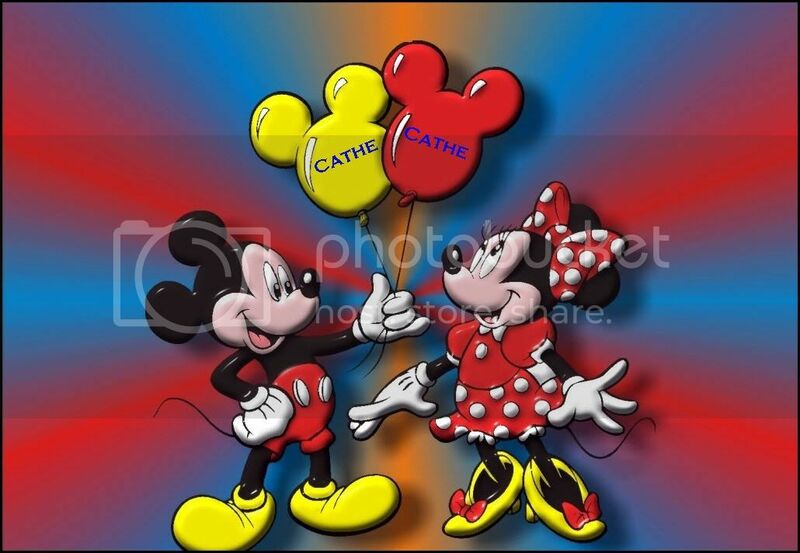 Cathe and Disney - Totally Awesome!!! Agzo, you will have a blast! Just do it, you'll be glad you did! Agzo,I had some reservations about this trip it's not cheap but I live in the Altamonte area Disney only 45 min away couldn't pass up the chance to meet Cathe & work out with her. Hope to see you there. Hi- I am new to this Forum and this would be my first Road Trip...if I ever get the guts to sign up that is. I'm kind of intimidated, although I am a Disney addict, so at least that would be familiar ground. LthePoet - don't be intimidated! Meeting Cathe & working out live with her has got to be on the top of every Cathlete's Bucketlist She will immediately put you at ease - so kind and gracious and you will feel like you do at home - like you're working out with your friend who just happens to be "CATHe"...and do I need to mention the rest of US!!! Glad you are here on the forum also - any questions, just ask b/c between Cathe and her educated crowd there's bound to be some answers or suggestions to whatever fitness (or other) related things you are pondering. Even if you don't post alot (look at me - just past 300 and I've been on-line since almost the beginning) - of course a lurker for many years ) Many of my friends have thousands of posts So even if you read more than write or vice versa this is an awesome place to be. Getting back to the RT, about half that come to a RoadTrip the first time are in the same situation. Don't really know anyone going, probably traveling alone, might have joined the forum... but have the desire to meet Cathe, tell her your story, and how she's become part of you daily routine & life. Yep...anyone of us that have been to an RT would write the same thing....Why didn't I do this sooner and can't wait for the next one! Disney isn't too far for you so that's an added plus You'll have a blast...one of the best times of your life Keep us posted, we'll be looking for you at Disney, woot! Awesome LynnB - looking forward to meeting you. This is going to be one of Cathe's most amazing RT events. There's extra time and the venue is just WOW! The countdown is on!!! Meeting Cathe & working out live with her has got to be on the top of every Cathlete's Bucketlist She will immediately put you at ease - so kind and gracious and you will feel like you do at home - like you're working out with your friend who just happens to be "CATHe"...and do I need to mention the rest of US!!! Thanks for the encouragement RetroFit...I am coming from Virginia, so Orlando is actually not that close. I go there 3-4 times a year though, so it seems like my backyard sometimes. Regardless, I just signed up for the RT today, so I guess I'm going! Welcome Lthepoet! There will lots of people who know each other well...and there will be lots of people that don't know a soul! But, in all honestly, you will be welcomed in with open arms I was nervous before my first road trip (especially when Cathe walked into the room for the first time ) but it took a total of about 5 minutes to realize that I had nothing to be worried about! As for looking like a sweaty idiot... sweaty YES...idiot NO... lol! We will all be in the same sweaty boat (ew...now that sounded yuckier than anticipated!) haha!